Bloomingdales 2016 holiday theme is “Lights Up A Young Mind”. 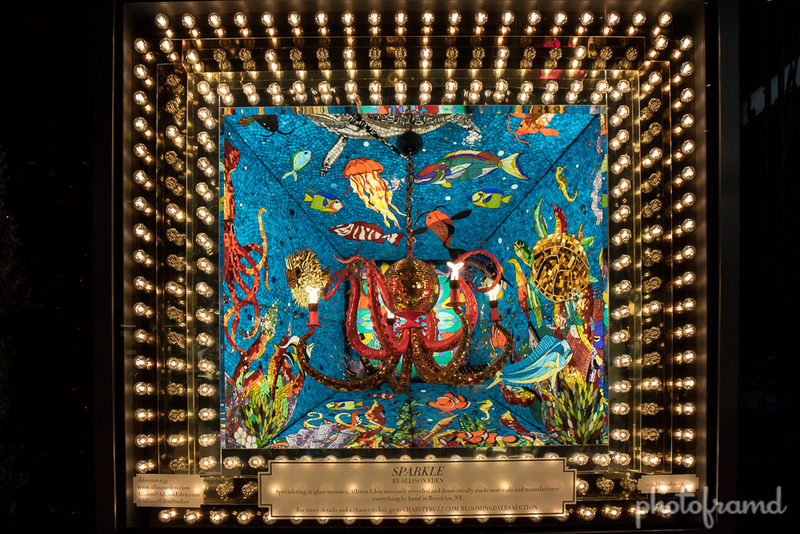 They worked with several visual artists to create one-of-a-kind chandeliers with playful interpretations of “light”. The chandeliers will be auctioned off on charitybuzz.com and 100% of the proceeds will benefit The Child Mind Institute. But, the most exciting part of Bloomies’ holiday display is actually the rotating red and green lights covering the entire building. 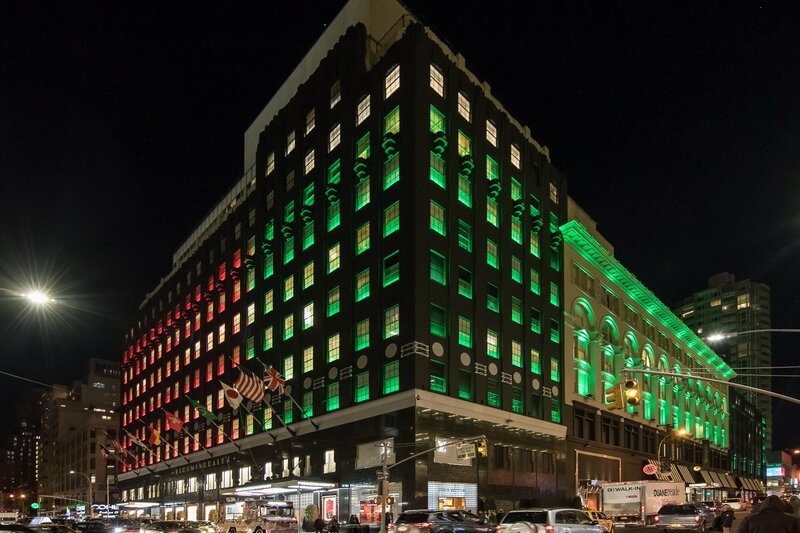 The light changes every few seconds covering the entire building in green and then sweeping around to red and then back to green. It’s very cool to see it from a distance. I hope they keep this effect and pair it with more exciting windows next year. The Bloomingdales’ Holiday windows are located on Lexington Ave between E 59th St & E 60th St.